Leader of the group Information Access: Jacco van Ossenbruggen. Our research group develops methods and techniques to better support users in accessing information that is heterogeneous, subjective and potentially inconsistent. We focus on the information’s context, using knowledge graphs to model differences in time and other relevant perspectives. We work together with social scientists and humanities researchers to evaluate how technology can be used to best interpret complex data, by modelling and comparing different assumptions underlying the interpretation. We advocate the notion of transparency in all critical use of technology to improve trust assessments. Please visit our publication, demo or facebook page for recent updates. 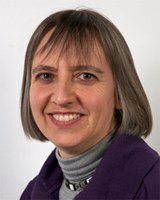 Lynda Hardman is appointed distinguished professor Multimedia Interaction. Stefano Bocconi (PhD defense November 30 at TU/e) will be interviewed by Noorderlicht Radio on Tuesday November 28 2006. He will talk about the Vox Populi system which automatically generates video documentaries from semantically annotated media repositories. Beauxis-Aussalet, E.M.A.L. (2019, January 28). Statistics and visualizations for assessing class size uncertainty. SIKS Dissertation Series. Maddalena, E, Ceolin, D, & Mizzaro, S. (2018). Multidimensional news quality: A comparison of crowdsourcing and nichesourcing. In Proceedings of the 6th International Workshop on News Recommendation and Analytics (INRA 2018). Riguzzi, F, Wielemaker, J, & Zese, R. (2018). Probabilistic inference in SWI-Prolog. In CEUR Workshop Proceedings (pp. 15–27). Amalgame, short for AMsterdam ALignment GenerAtion MEtatool, is a Semantic Web tool for finding, evaluating and managing vocabulary alignments, i.e. relating corresponding concepts in different vocabularies.